WE ARE HIRING!! JOIN OUR TEAM. 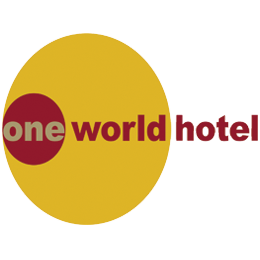 Employees are One World Hotel’s principal asset. We nurture, value, recognise and reward individuals for their outstanding efforts, initiatives and achievements. Interested applicants for full-time employment are invited to either submit their latest resumes with a recent passport sized photo via email : andy_y@oneworldhotel.com.my or malek_h@oneworldhotel.com.my , fax : +603 7681 1114 or post. Applicants for part time positions are advised to submit their applications directly to our Timekeeper’s office, Security Department (Concourse Level) and we will contact them as soon as possible. Interested applicants for Internship / Practical Training Programme are invited to email their resumes and confirmation letter from the university / college and furnish us with clear information about their internship needs / duration of on-the-job experience.